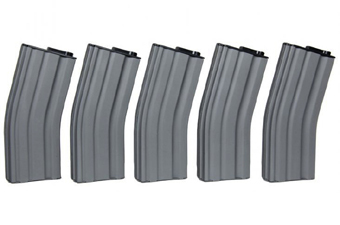 Comments: Cut down on your reloading time by keeping pre-filled, extra mags handy. 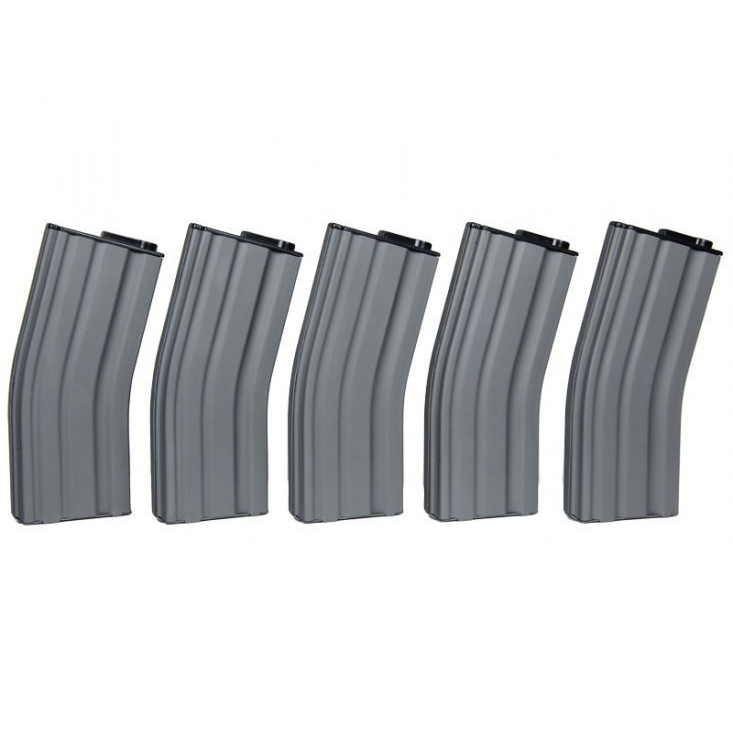 This pack of 5 MAG M4 rifles mags is designed to be used in AEG rifles. Each mag features high-quality metal construction and holds 190 rounds of 6mm airsoft BBs.